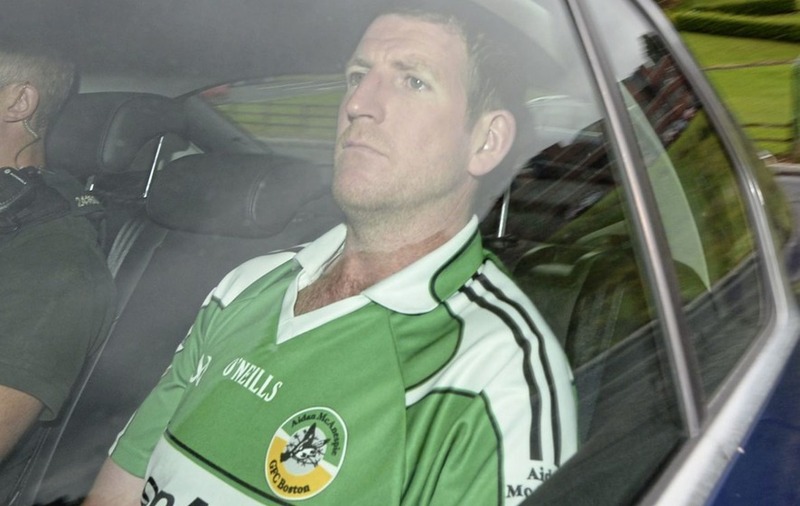 Brian Carron appears at Dungannon Court in June. Picture by Pacemaker. Brian John Carron (34) of Colliers Lane, Coalisland was arrested following what police described as one of the largest weapons hauls recovered in the last 10 years, and allegedly related to the murder of constable Kerr, who was the victim of an undercar booby trap device on 2 April 2011. 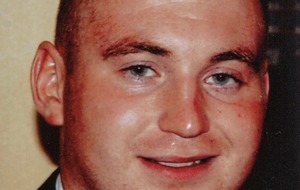 It is alleged on dates between 24 May 2010 and 5 April 2011, Carron was unlawfully and maliciously in possession of a quantity of Semtex, rocket propellant, home grenade initiators, glucose powder, improvised power units, improvised incendiary devices, eight detonators, rocket propellant, and component parts of an improvised rocket system. On the same dates it is alleged he had four AKM assault rifles, six loaded magazines and a quantity of 7.62mm short ammunition. Finally, Carron is accused of possessing two mobile phones and four vehicles in preparation for an act of terrorism. Having been refused bail at Dungannon Magistrates Court back in June, Carron appealed to the High Court last week, and despite police objections was released on strict terms. These include a ban on leaving Northern Ireland, a £10,000 surety, surrender of passport, signing with police in Dungannon, electronic tagging and a 10pm curfew. A defence barrister appeared at Dungannon Magistrates Court requesting temporary variations to Carron's recently granted bail terms, to allow him to carry out his duties as groomsman at his sister's wedding. It was suggested Carron could switch his police signing the day after the wedding from Dungannon to Cookstown, to which there was no objection. However, the issue of extending the curfew to 1am was not acceptable to police. He agreed to a one-off curfew extension, but not to 1am as sought.